in the marbling process between the color drops to spread the colors apart. polish, than a drop of the solid gold/yellow color, and continue that way. 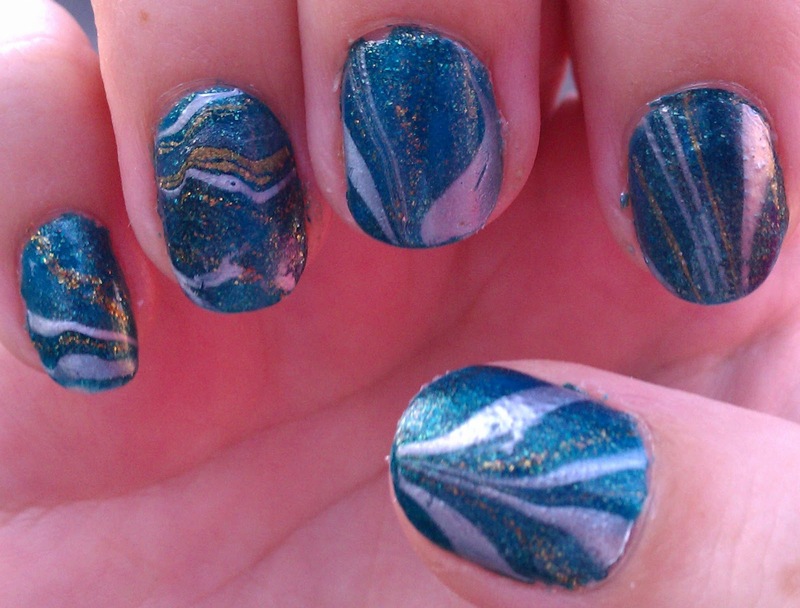 It couldn’t have been an easier marble as far as I can tell. 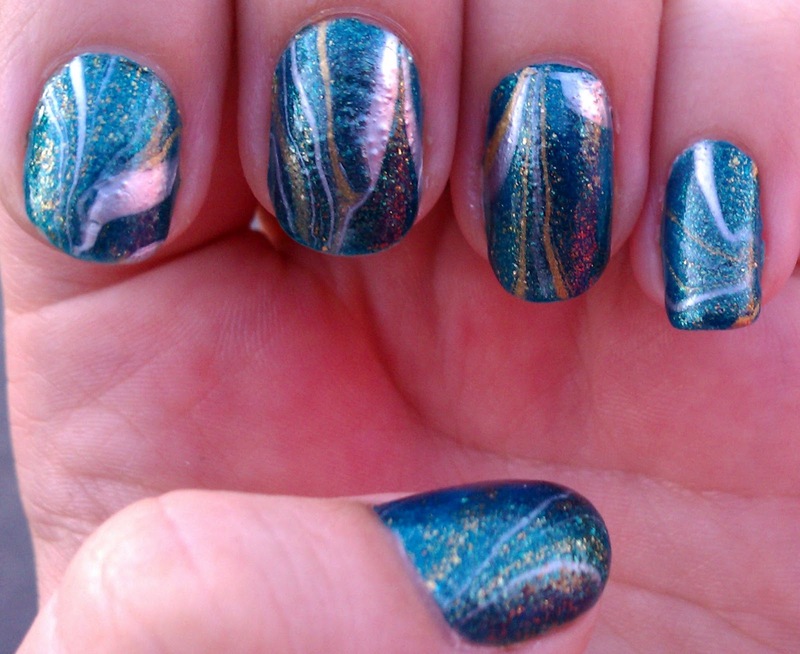 What do you think about this method of water marbling?